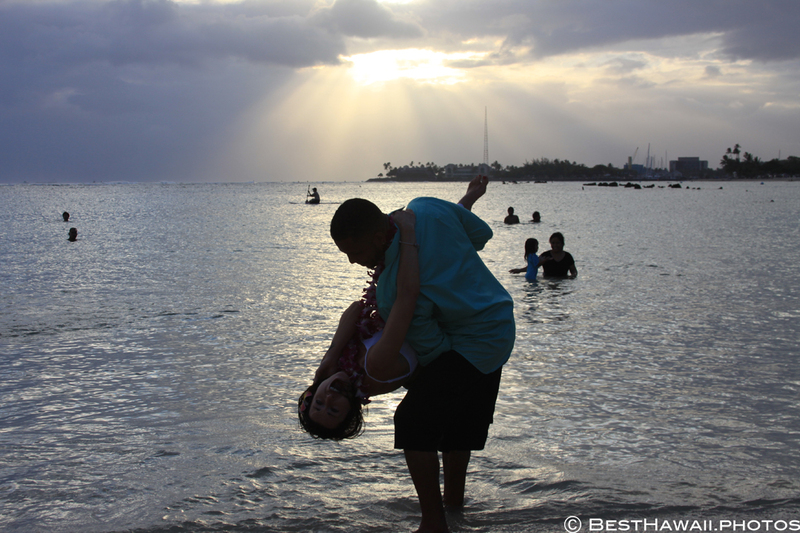 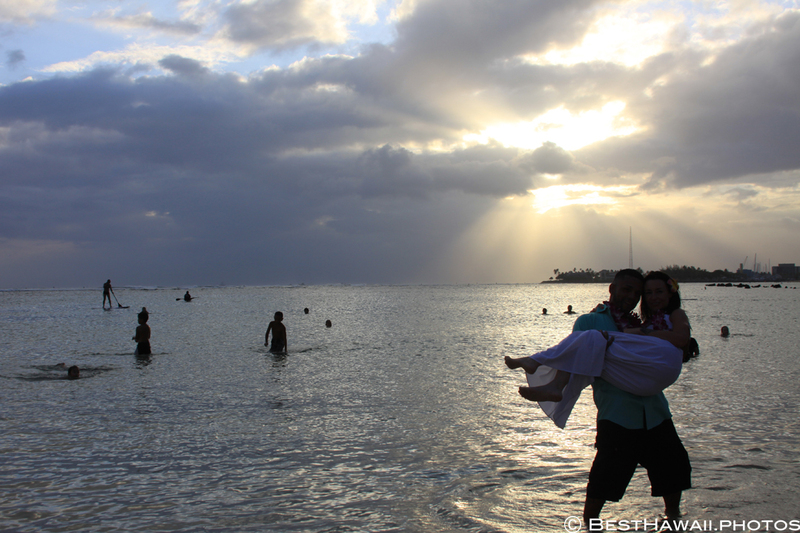 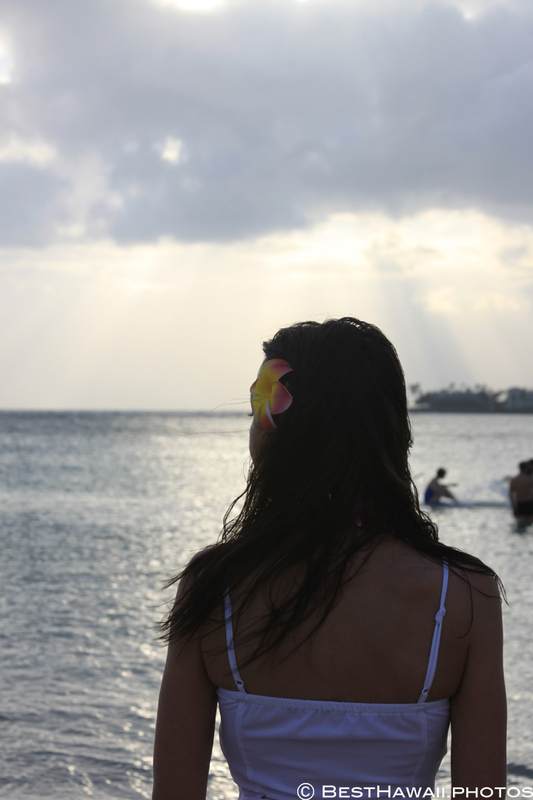 A Hawaii beach wedding at sunset is a dream for many couples across the world! 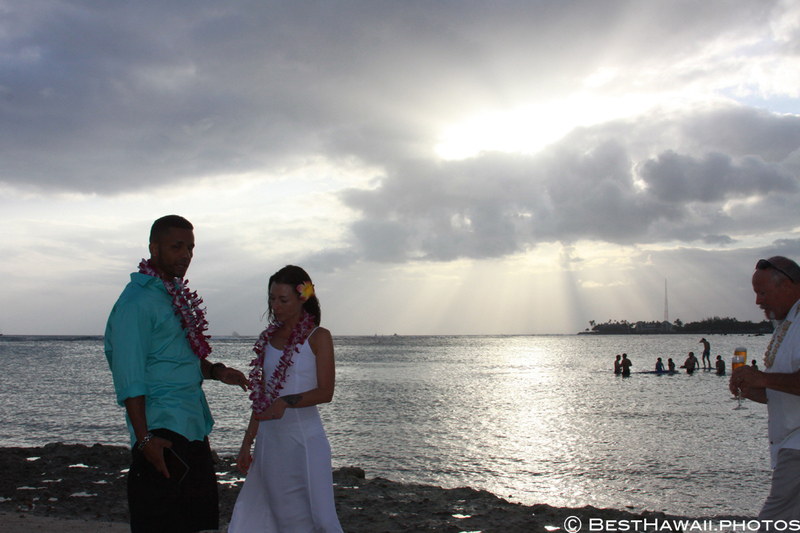 Dreams do come true and having amazing photos of the wedding is essential to capture this special event of a lifetime. 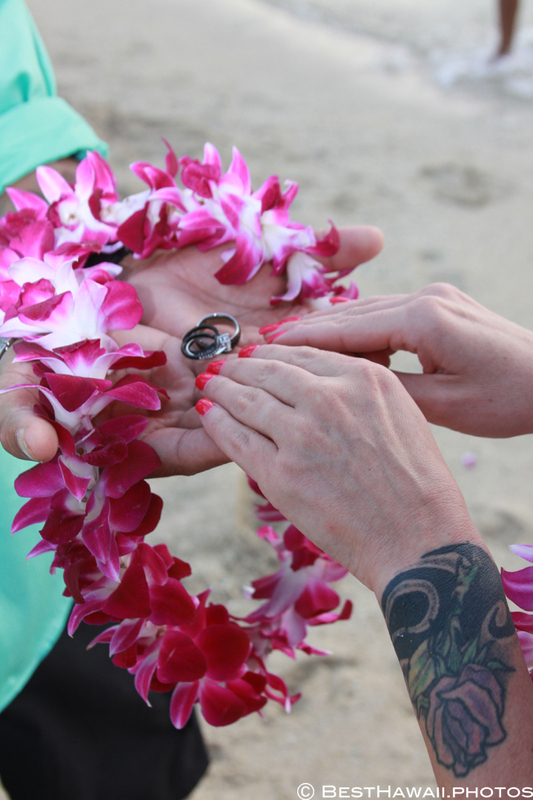 The sheer majestic beauty of the Hawaiian Islands, the near perfect year-round weather, and the multitude of top rated wedding services are the main reasons so many couples are attracted to tie the knot in Hawaii. 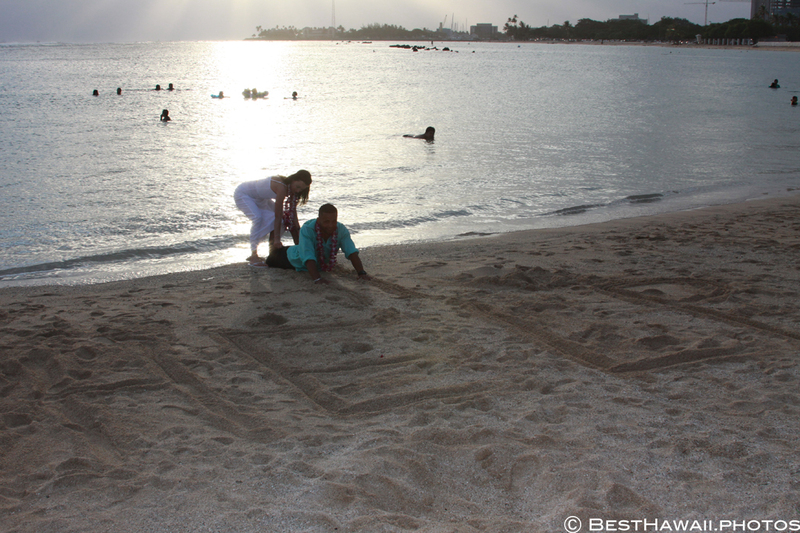 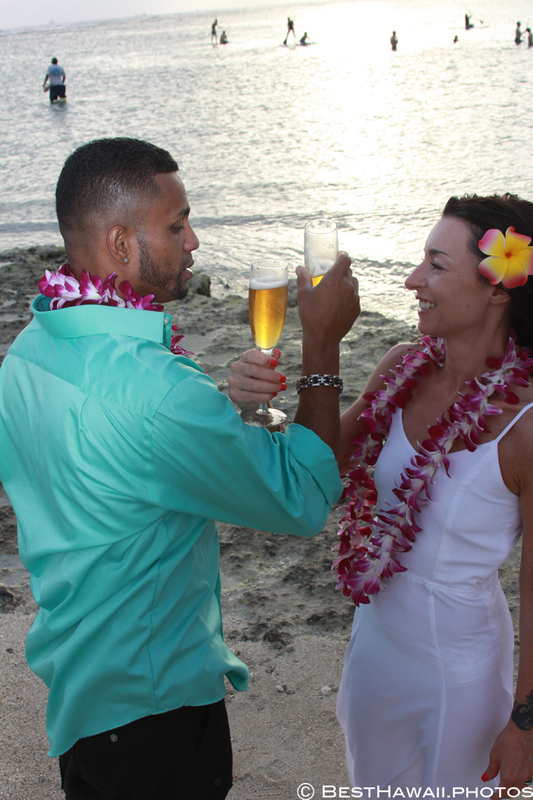 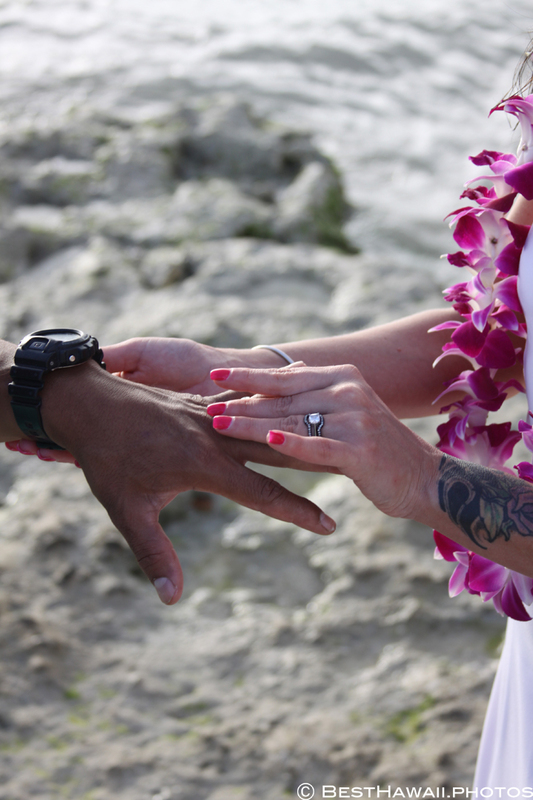 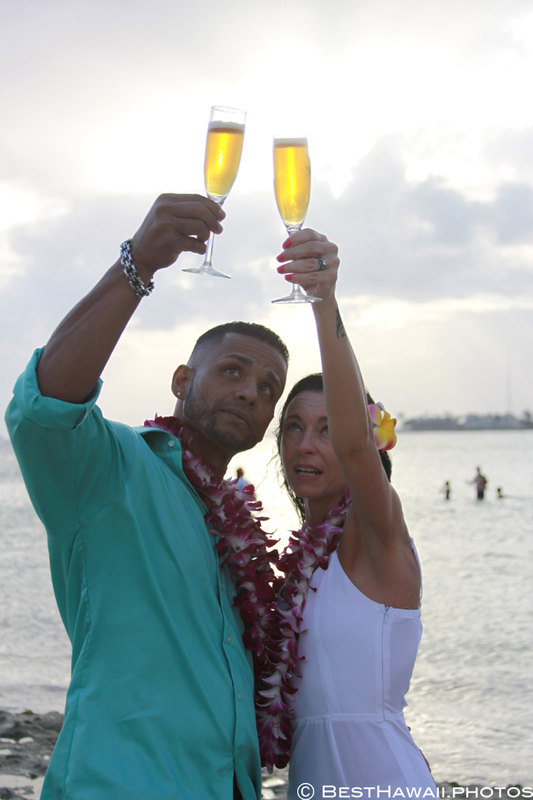 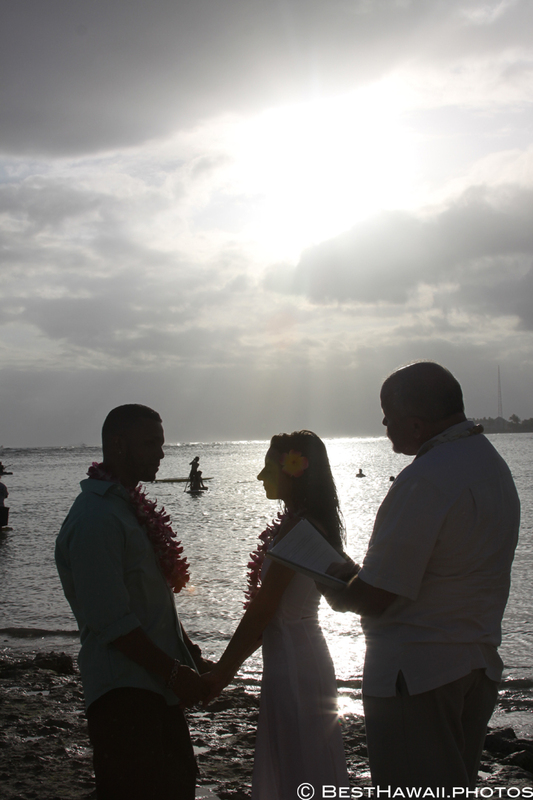 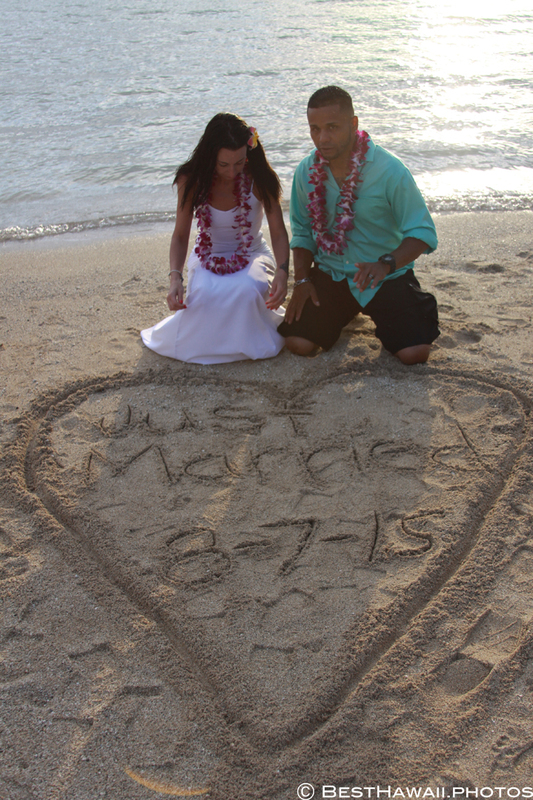 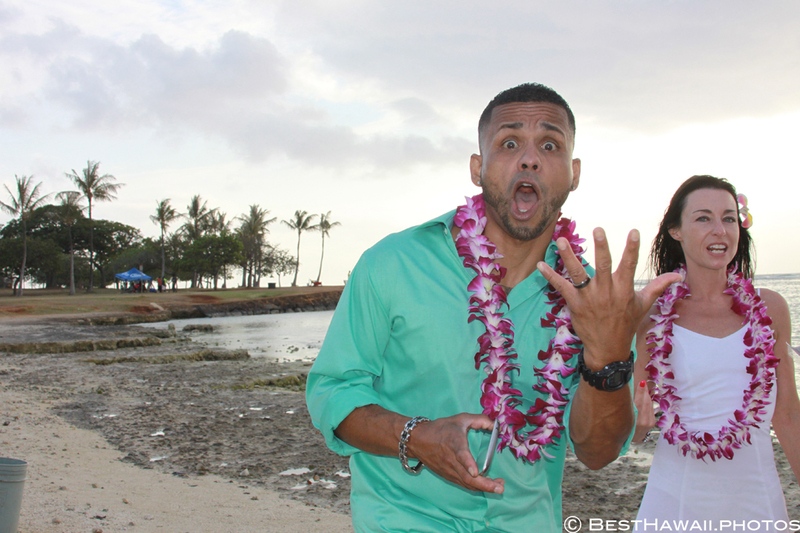 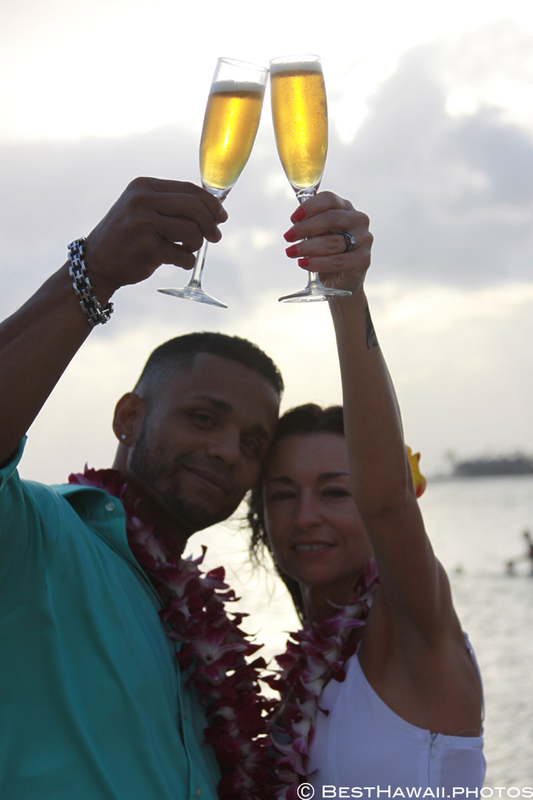 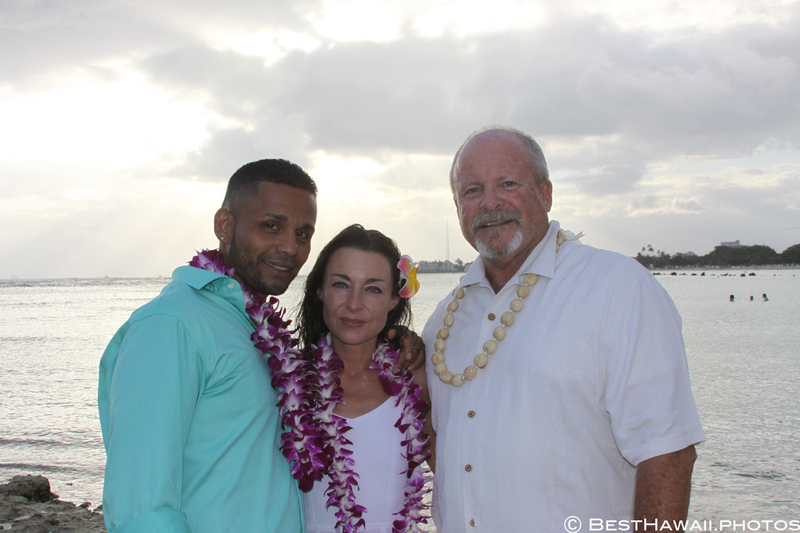 Having a wedding in Honolulu on the island of Oahu is a very popular option. 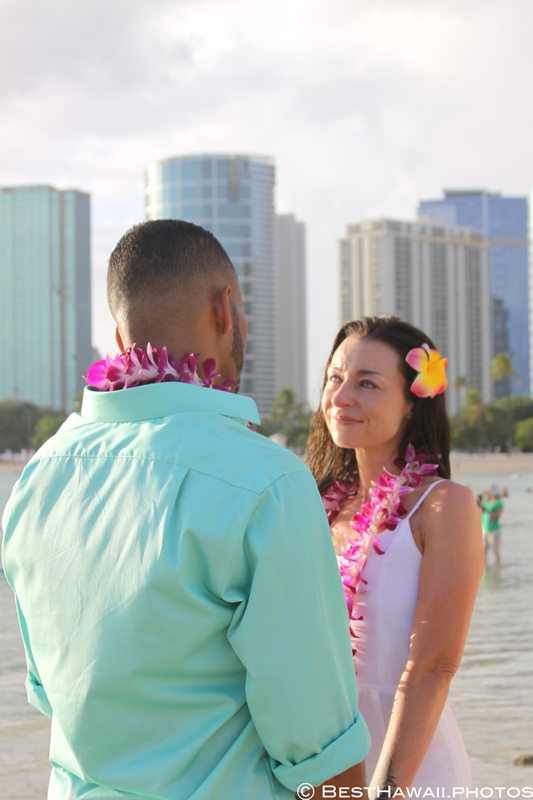 Aside from reasons mentioned above, Waikiki offers some of world’s best shopping, restaurants, and hotels with the world’s famous Waikiki beach and Ala Moana just around the corner! 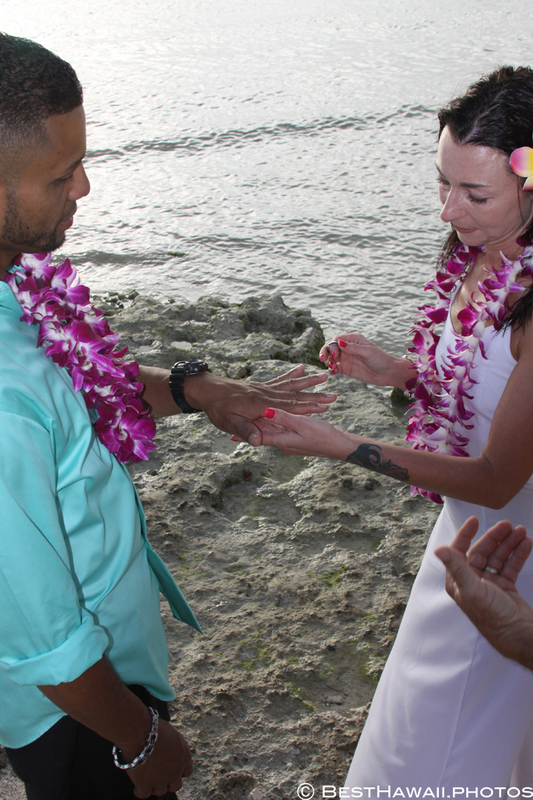 This particular wedding took place at Magic Island only minutes away from Waikiki by limousine service and walking distance to the world’s largest open air shopping mall – the Ala Moana Shopping Center. 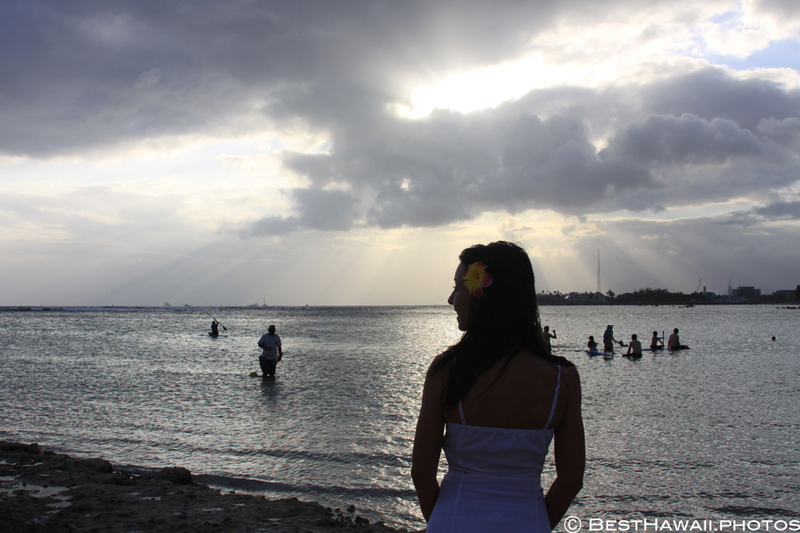 Magic Island is part of Ala Moana area of Honolulu and is a public park between the Waikiki Small Boat Harbor and Ala Moana beach park.